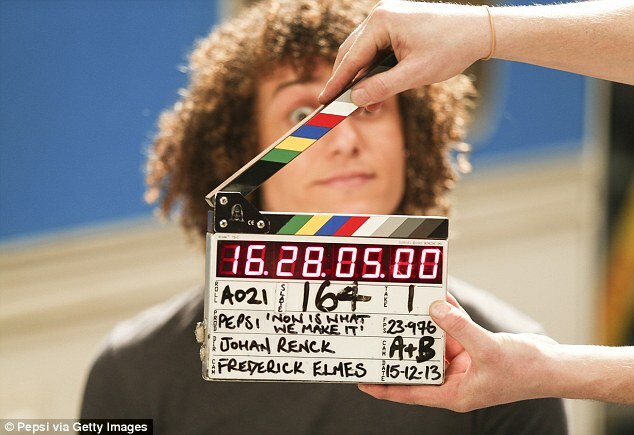 Some weeks ago, I wrote an article about the first Pepsi’s ad campaign to the World Cup. Last week, I wrote the article about another Pepsi‘s ad, always using the hashtag #LiveForNow, link of the whole campaign. And this week, I’d like to talk about another one ad prepared by Pepsi, and always relied on the World Cup coming in two months…. The brand has made a big project to prepare the event. And now, the third part of it is an interactive film and TV commercial. The players become actors of the ad, and football becomes an art, creating music. On TV, the film will tell a story, following a boy drinking a Pepsi in the street. Every movement or every sound he makes, create a music to conclude with the singer Janelle Monae performing a David Bowie’s classic : ‘Heroes’. On your computer, you interact with the video. During the film, you can click and change what happens, unlocking new part of the film. For instance, you can write your name and the ball signed by Sergio Ramos. The result is really great! Pepsi and its agency have made a great work. The three ads are different but express a same message : the World Cup will be a moment of joy and celebration, and people really have to enjoy it. And more, the brand uses three different registers to express it, and it does it with originality. So, a thing is sure, it’s gonna be a campaign we won’t forget ! And you, what’s your thoughts about the Pepsi project ? What’s your favourite part ? Publié dans Around The World, English Time, Funny Thing, TrendsÉtiqueté #LiveForNow, Ad, Aguero, David Bowie, David Luiz, Dempsey, film, football, heroes, Jack Wilshere, Janelle Monae, Messi, music, Pepsi, RVP, Sergio Ramos, Tv commercial, Vincent Kompany, World CupMettre en favoris le permalien.